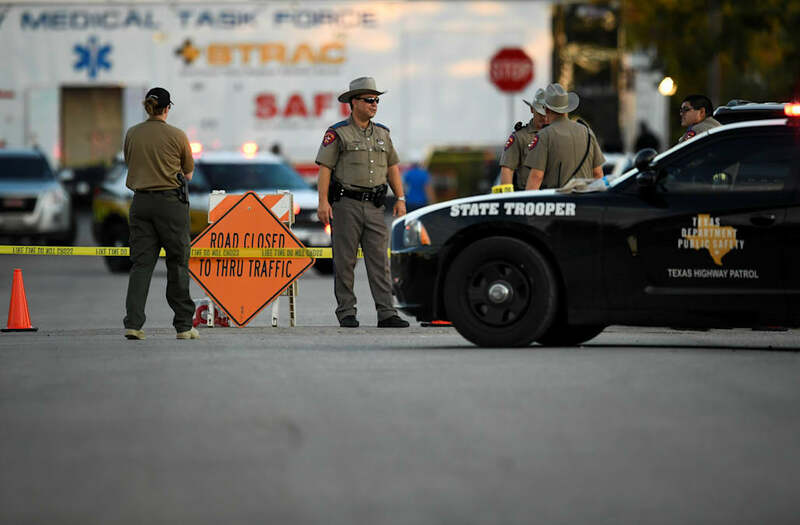 Two Texas locals reportedly stepped up to fight off the mass shooter who killed 26 churchgoers during a Sunday service. Johnnie Langendorff and Stephen Willeford reportedly sprang into action after Devin Kelley opened fire on the First Baptist Church in Sutherland Springs, Texas. Langendorff told his story in an interview, while Willeford was identified in a report by DailyMail.com, which cited local sources. Kelley, dressed in body armor and armed with an assault rifle, shot dead more than two-dozen worshippers, including children as young as five. As Kelley was leaving, police say he was confronted by a local resident who "grabbed his rifle and engaged that suspect." The DailyMail.com report identified that local as Willeford, a 55-year-old motorcycle enthusiast. After opening fire on Kelley, who fled in a vehicle, Willeford reportedly joined Langendorff in his pick-up truck and pursued the man. Langendorff gave an interview to local TV station KSAT, where he described following Kelley in a 95mph chase down local highways. The chase ended, he said, when Kelley lost control of his vehicle at a sharp bend and left the road. When his car came to a halt, he stopped moving, and the pair watched over him until police arrived, Langendorff said. Addressing the shooting from a news conference in Japan, President Donald Trump said that the shooting would have been "much worse" if it weren't for the fact that somebody shot back.